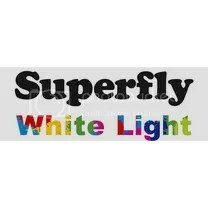 White Light is the 16th digital single by Japanese singer Superfly, released on January 21, 2015. The song was used as the theme for the PS3 game ‘Tales of Zestiria’. My friend Cybuster_God_of_Wind sort of requested this single to be reviewed so here you go! What I like so much about White Light is how catchy the hooks are and that the music is rock influenced, very suited for a game theme as well. I was most curious about Shiho’s vocals, but she has quite a powerful and soulful voice that is easy on the ears! The ‘na-na-na‘s’ inbetween the chorus and verses are very catchy too. After listening to this track a couple of times I’m not sure if I will be able to get it out of my head, I’m surprised I like it so much. And to think this is my first encounter with Superfly! The MV is quite artsy with a painter hand painting the walls (and Shiho), it matches the cover art for the album this song is featured on. Shiho’s lipsyncing is a bit tame, but oh well.. Thanks for your speedy review on my request, Jade. Yeah, this is pretty catchy indeed, could’ve been a little shorter. Her voice isn’t anything special, but at least she could sing well enough. While this song isn’t any ‘KARMA’ from “Bump of Chicken”, it is probably the best opening song since that one. I do like BoA, but ‘White Wishes’ never did much for me, and Ayu’s ‘progress’ was okay, but after I heard ‘Last Minute’, I don’t listen to that much. It surely wasn’t flop! In fact, I think I’m not done with Superfly yet! ;P And you’re welcome, thanks for the request!